I guess they've said that on all sessions on Scrum that I've attended. I've also seen it on blogs, in articles and in books. The scrum master is not a project manager BUT if you've been a project manager you can now become a scrum master. So, we switch the project to scrum and the manager to master but keep the same guy behind the mask. Or? I believe there is a risk to migrate the project manager into a scrum master. Because people generally turn to a comfort zone and if there is a role that on the surface is very similar to another role that you are familiar with and it's the same person, this is a clear risk. Also, I believe that not so few people turning to project management love all those plans and Gantt charts and diagrams that they just go for the artefacts in the form of product backlogs, burn down charts and sprint backlogs. They cling to them like they are the sole purpose of the project. I actually saw that there is a scrum template for Microsoft Project now. I used to be a really good Microsoft Project teacher and coach. I even wrote books on using the programs. To be frank, I learned how the Project database calculated it's fields to make me understand things in the program. But I cannot for my world understand how Project in any way can help a scrum team. Project can perhaps make a project manager calling himself scrum master feel really valuable. But I hope that is not the point. So, kick out that project manager from his comfort zone and give him some other chores. Perhaps he'll turn into a really good scrum master after a couple of months. 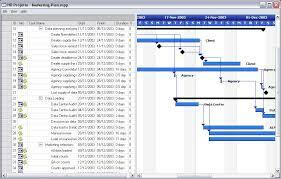 At the last firm I worked for, they would use MS Project to perfect their plans down to the most minute detail. Often, it was a lengthy, tedious and stressful exercise for the team lead/senior architect. I recall quite vividly about a year ago a senior architect who spent close to three weeks devising his project plans with MSProject for a big proposal. Someone asked him: "How confident are you in your estimates?" He deadpanned: "Not at all." So why do it? Because, like you say, it's a security blanket. And because clients still don't know how to work with agility. It's always "How long will it take? How much will it cost?"